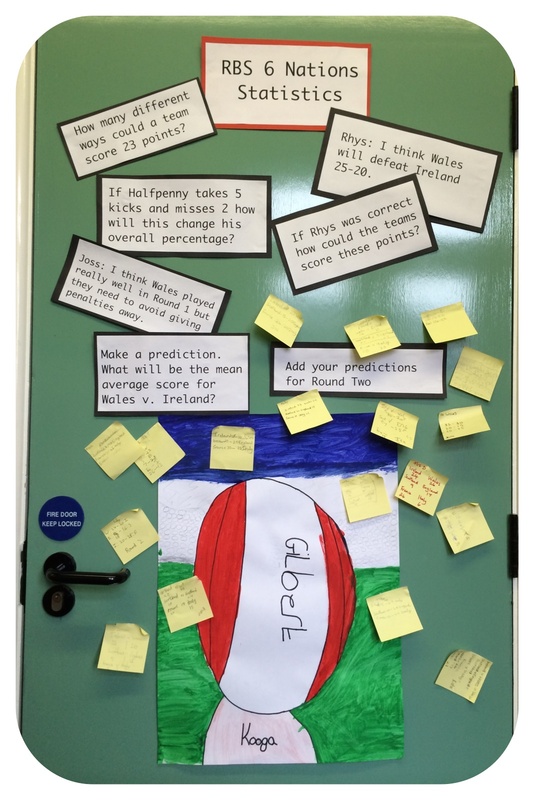 During the next few weeks we’re going to be looking at the Stats from the Six Nations Tournament as part of our mental maths sessions. It’s already sparked some interesting discussion on the use of statistics. 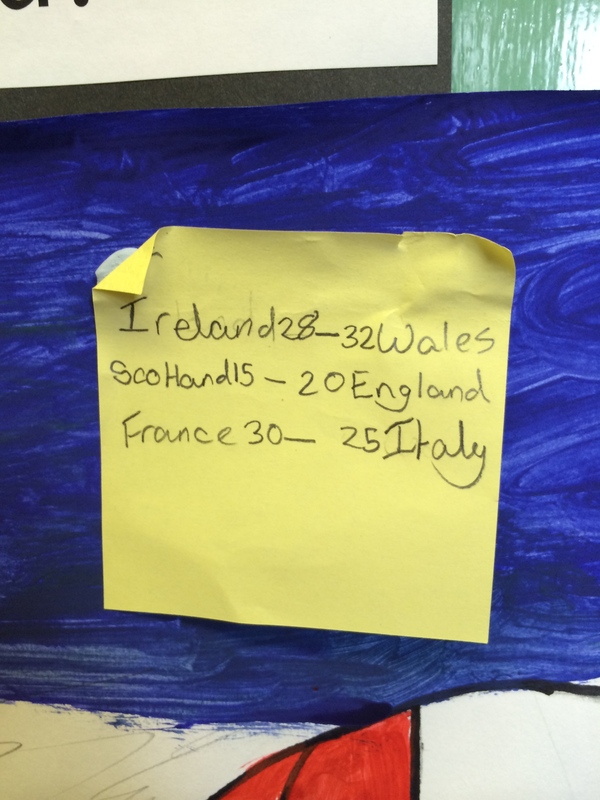 We’ve predicted scores – you may notice the majority are convinced Wales will triumph tomorrow. The ideas been received well. Luckily http://www.rbs6nations.com provide masses of information so now we’re seeing how we can analyse and express it. So far we’ve looked at mean average scores and expressed various information as ratios, percentages, fractions and decimal fractions. 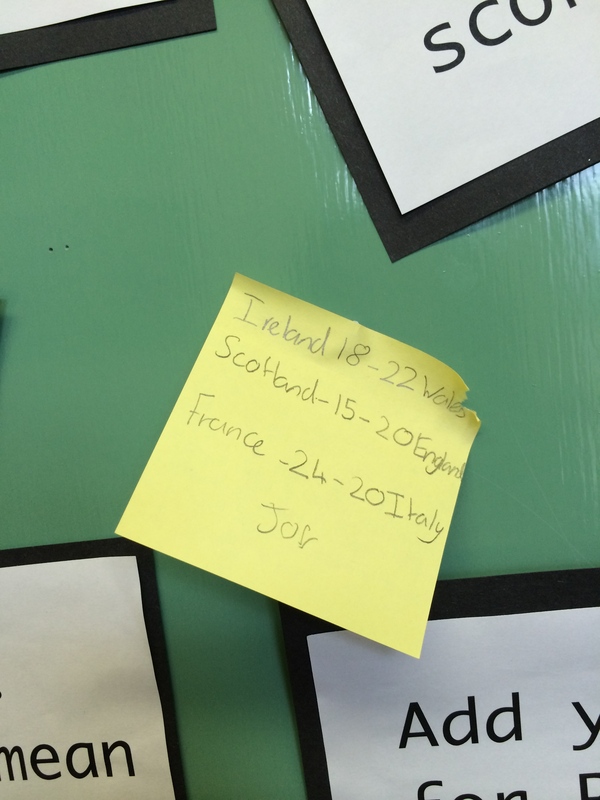 We’ve looked at all the different ways each score could have been achieved. We’ve thought about whether it’s possible to have end results that consist of prime or square numbers. I have very generously said if anyone predicts all the results for one weekend correctly I’ll let them have a week off homework. The children have designed and put together their own display – hopefully we’ll be able to update it on a weekly basis.